This fantastic market map was created by redditor Kav0375, in part utilizing freely available resources by gogots and quite a bit of creativity on his side. Tiled at 30×30, but faintly enough to change to your hearts content if you’d wish to do so. 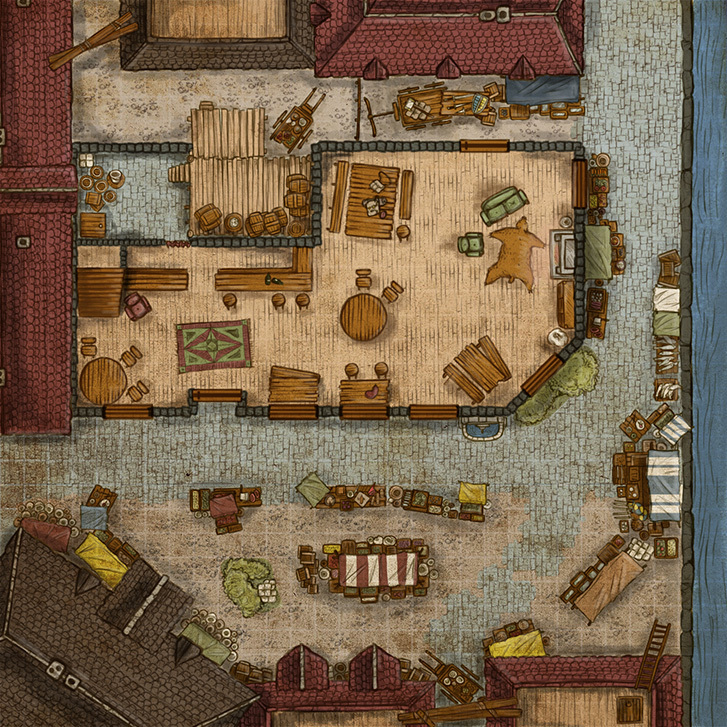 Paired with it are the upper floors of the Tavern in the middle of the map.